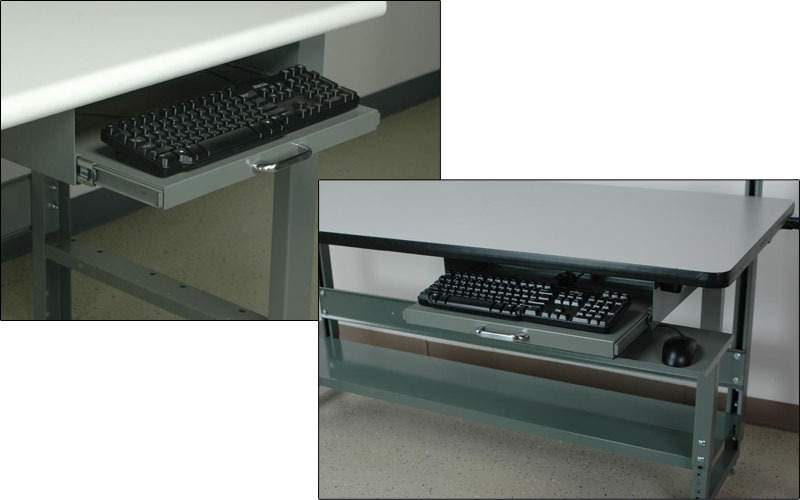 The pull-out keyboard trays mount to the bottom of any wood top bench. 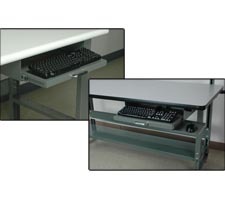 All keyboard trays have a full 14" extension roller bearing slide and a 30 pound capacity. The pullout keyboard and mouse tray is identical except is alwo has a pull-out mouse pad below the keyboard tray. 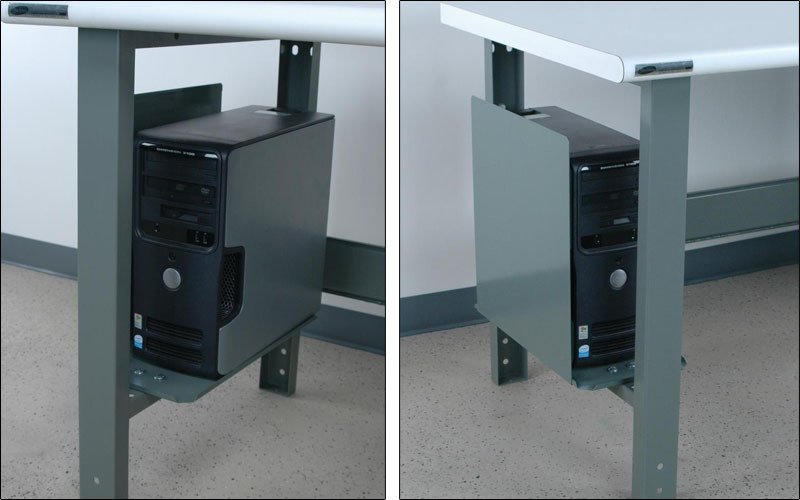 The standard leg mounted CPU holder mounts easily leg strut of the workbenche. This holder offers protection to the CPU on one side. 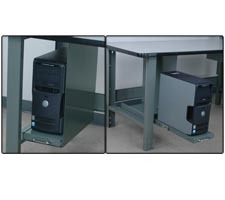 All CPU holders can be attached to the left or right side leg of the work bench. 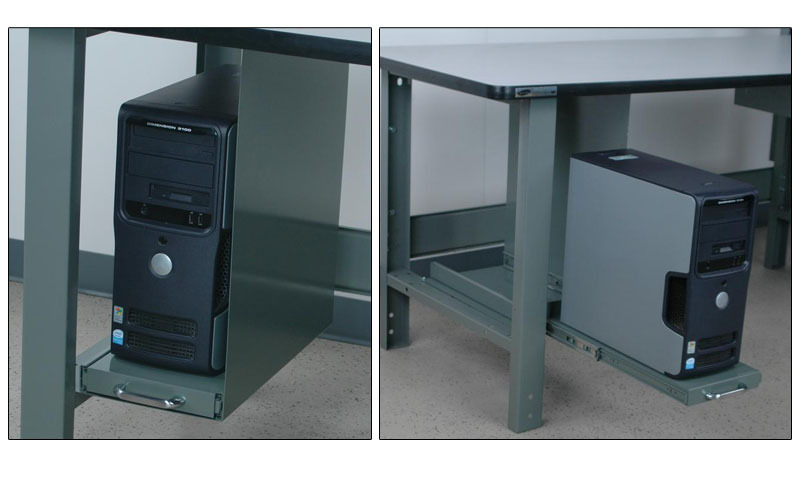 The pull-out CPU holder mounts to the bottom of the work surface and side of the workbench for sturdy support. 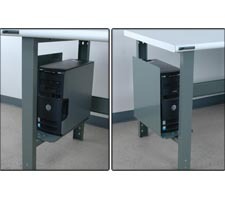 These units can be attached to either the right or left-hand side of the workbench and are able to extend the CPU out 20" on roller bearing slides for easy access to the rear of the CPU. 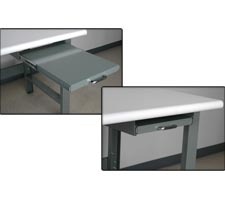 This pull-out writing surface mounts to the left or right side of any wood top workbench. This writing pull-out uses a 20" roller bearing slide that can support up to 75 pounds. Shipping information and costs for this item will be emailed to you when you submit your order. NO orders are processed prior to ship costs being sent to and confirmed by you. Accessories shipped with workbenches will ship class 100 on the same pallet(s) as the benches. Accessories ordered after the fact may be able to ship via UPS. This workbench is perfect for multiple users. On-The-Fly height adjustability is what this series is built for. Keep your monitor accessable, but off your workspace with these overhead monitor mounts. Add additional overhead storage to your workbenches with these straight overhead support towers. 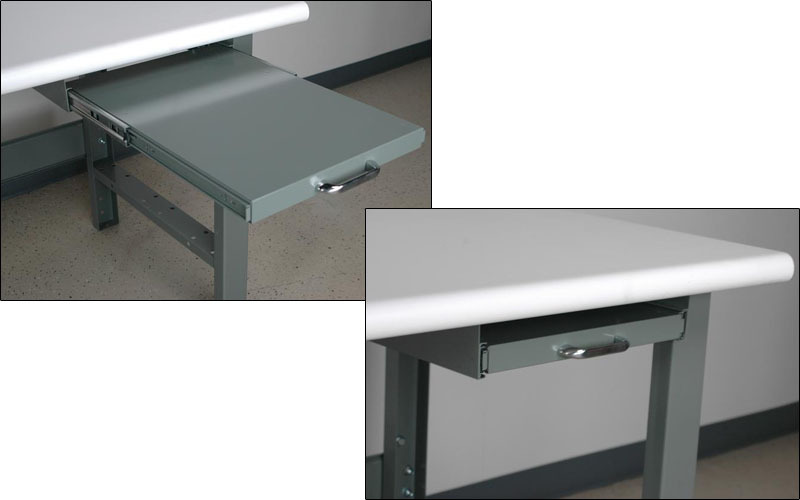 Add above bench storage with a variety of overhead half-width workbench shelves.